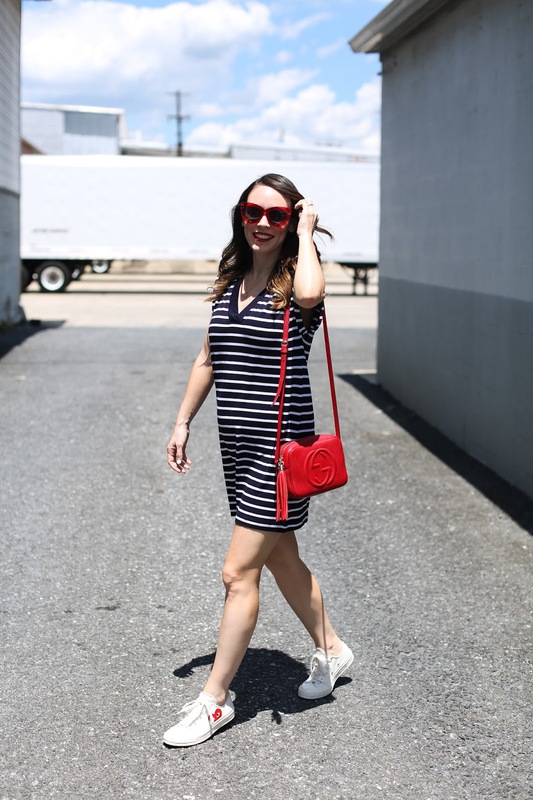 I have been loving the GAP and Old Navy recently for easy and comfortable summer pieces - and of course it helps that there is always a great sale going on. Originally I was going to wear this look with my Saint Laurent slides but at the last minute changed into these converse sneakers and forgot how the little added red detail on the side would match perfectly! I'm not someone that loves a matchy-matchy look but with certain outfits I love threading certain details throughout like the red accents for example. 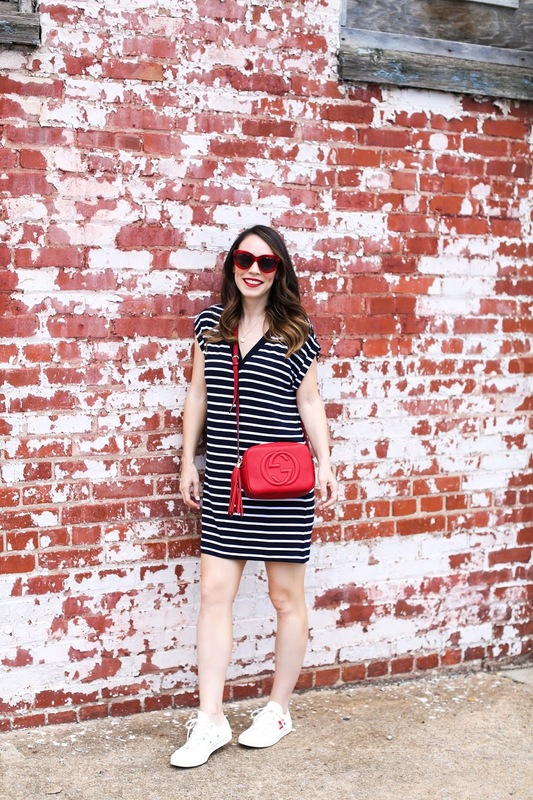 I find that when deciding to add non-neutral pieces (like red) into a wardrobe, it's best to stick with it over time accumulating enough items that can work interchangeably together. I'm tempted to jump to other accent colors (like pink or pastel blue) but realize that I may need to commit to building it up over time in order for enough of my wardrobe to be cohesive. So then I get lazy and just opt for red. Ha! For further July 4th outfit ideas, I rounded up a bunch of options from each category of what I'm wearing. 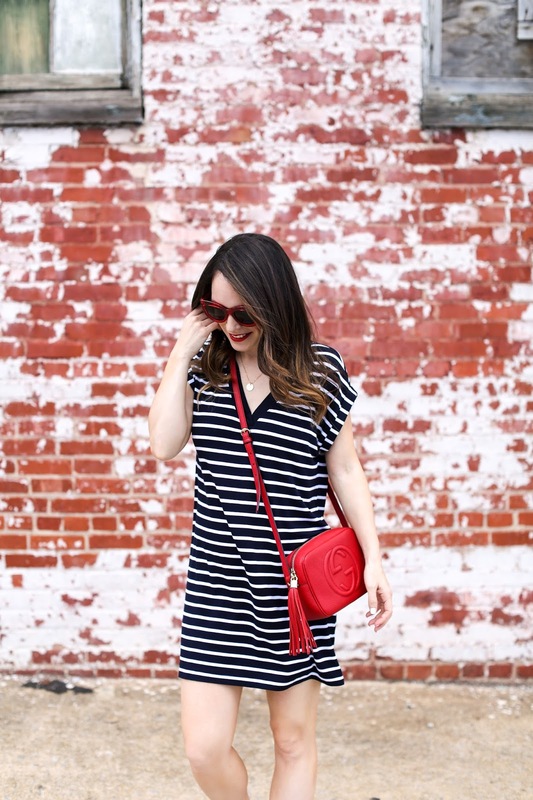 Striped dresses (because one can never have too many stripes), white sneakers (I tried to search out cute ones with a twist), red crossbody bags (the perfect pop of color) and red sunglasses because if you love red like I do they are a great summer staple! Scroll through each widget below for all the options!